Featuring fresh made fudge as well as fresh pulled salt water taffty and candy from the unique to fine chocolates. 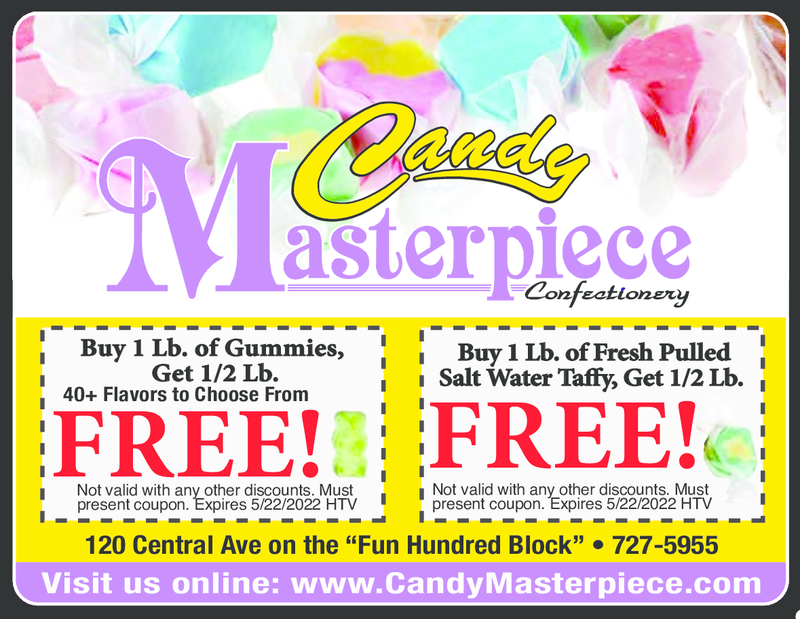 Buy 1 Pound Taffy Get 1/2 Pound Free! Buy 1 Pound Gummies Get 1/2 Pound Free!